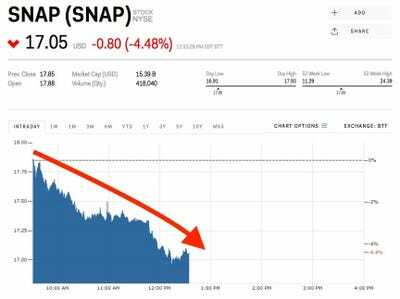 Shares of Snap sank Thursday after the singer blasted Snapchat on her Instagram. 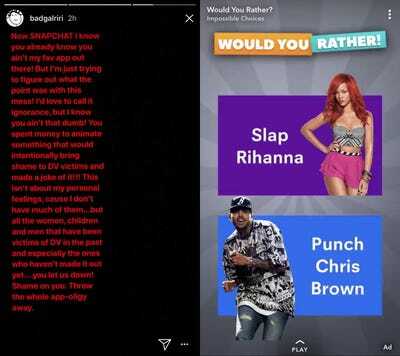 Shares of Snap fell more than 4% Thursday after Rihanna blasted a recent Snapchat ad that asked “would you rather slap Rihanna or punch Chris Brown,” a reference to when Brown assaulted his then-girlfriend Rihanna in 2009. 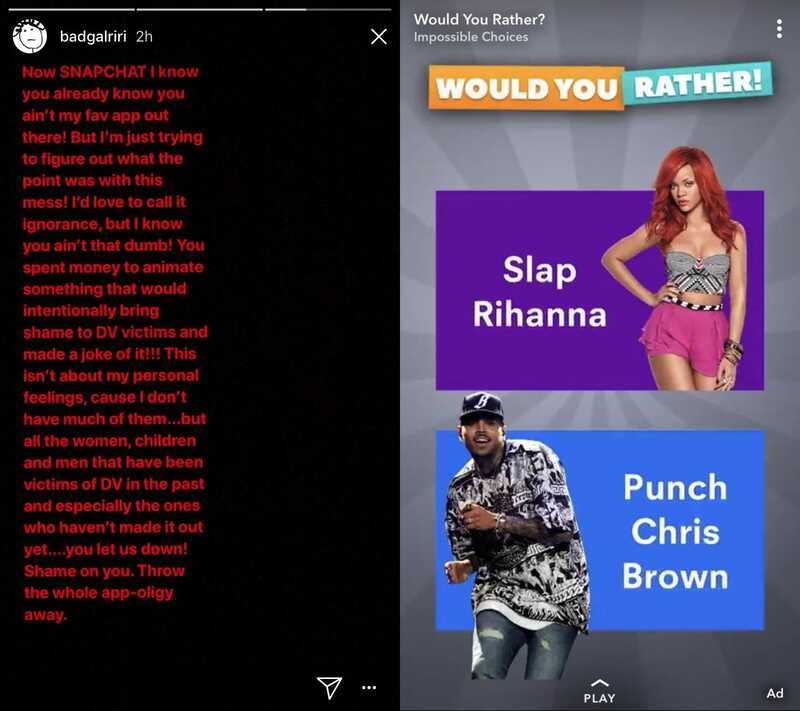 Snap apologised for the ad on Wednesday, saying it was an error. This isn’t the first time a celebrity has moved shares of Snap, which has struggled to keep its stock price above its March 2016 initial pubic offering price of $US17. Snap slid 7% when Kylie Jenner tweeted in February that she doesn’t use the app anymore. Shares of Snap are up 17% this year.